We are excited for the 2016 season!! Updated Saturday May 14, 2016 by Saugeen Shores Minor Baseball Association. Welcome to Mosquito Sting Black. 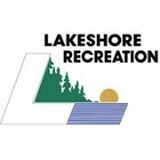 We would like to thank Lakeshore Recreation for being our team sponsor this year.